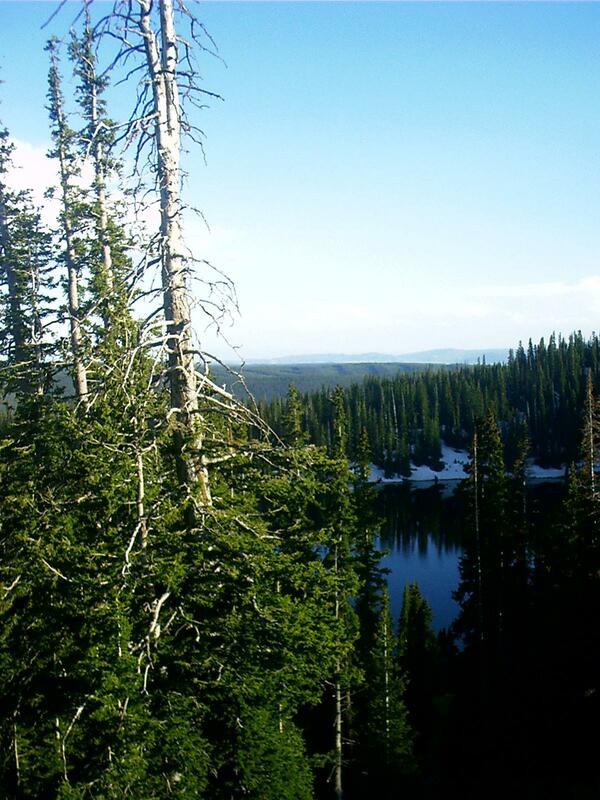 Summer in the Rocky Mountains dissolves winter's snowpack with warm rains. All along the Continental Divide, meltwater rises in brooks and runs toward the sea. Some heads west to the Pacific. Some heads north to Hudson Bay. Other waters wend eastward, flowing into the great inland rivers of North America that drain toward the Gulf of Mexico. 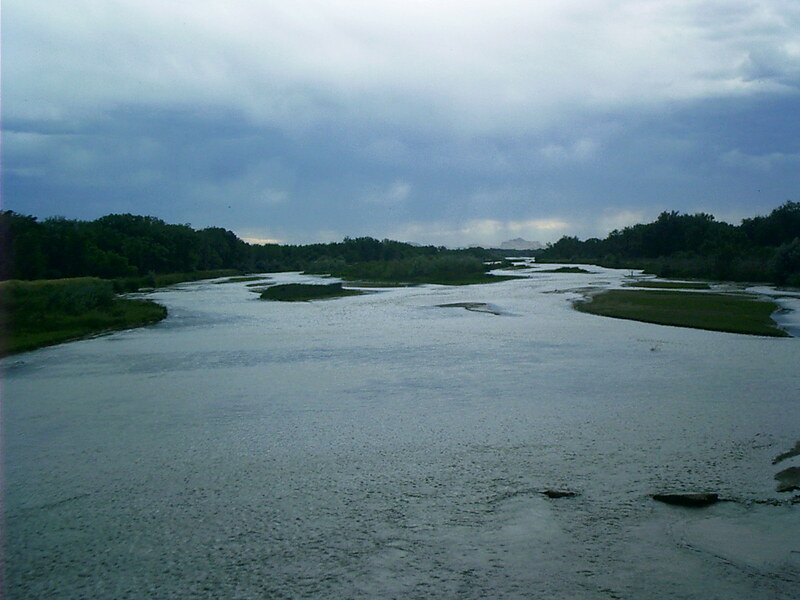 Among these is the Platte, a tributary of the Missouri River below Omaha, NE. The name means "flat" in French just as the name Nebraska means "flat" in Otoe. Before there were roads and telegraphs and railroads, the creeks and rivers and the trails up them and between them were highways. Trading posts were established here and there along streams. 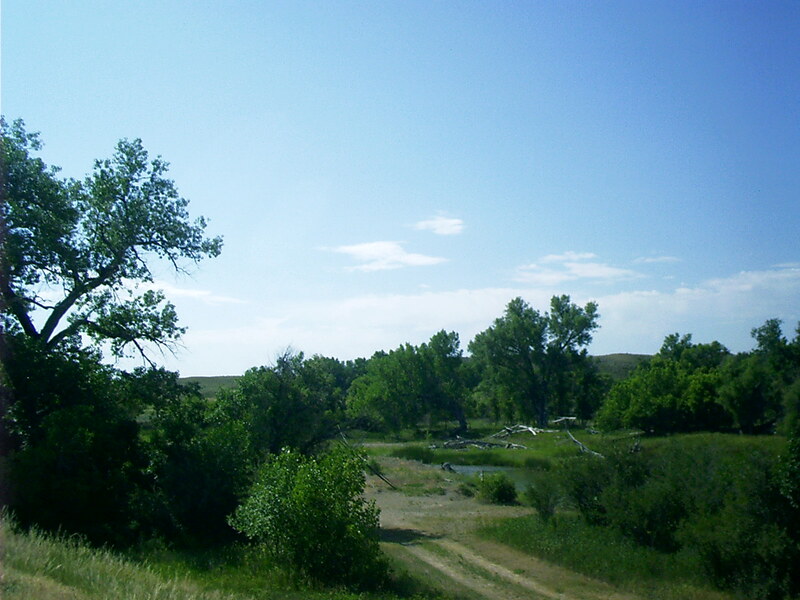 This is a reconstruction of one on Bordeaux Creek at Chadron, NE. The Platte and its tributaries provided a more or less broad, flat, well watered route up into the Rocky Mountains. Traders bartered manufactured goods with the Indians in exchange for food and animal skins. The endeavor must have been profitable. It wasn't long before trappers from all over the world converged on the mountains of the American West. 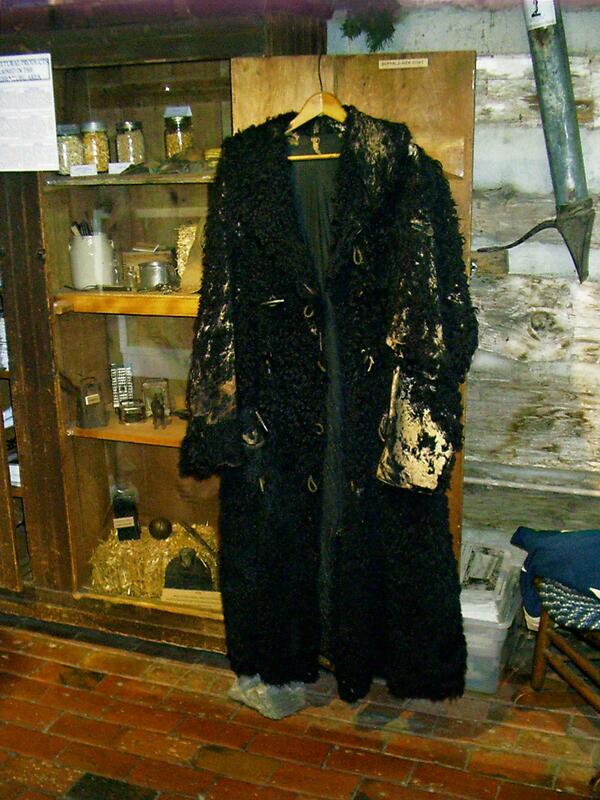 Furs were taken in the fall and spring and dried and baled for delivery to market. Fur companies did not allow their employees to roam the continent, though. Instead, they collected a year's worth of pelts during a summer "rendezvous" in the mountains. At the same time they distributed supplies for the next year. Independent trappers from the States, Canada, Mexico, and abroad as well as Native Americans were welcome because they had pelts to sell and they were buyers of supplies. The first ten wagons ever to follow the flat route along the Platte River to the Rocky Mountains were in a supply train from St. Louis, MO, led by William Sublette to the Wind River rendezvous of 1830. A well known letter is dated St. Louis, MO, October 29, 1830, and is addressed to the Hon. J. H. Eaton, Secretary of War: "The business of taking furs from the United States Territories beyond the Rocky Mountains has since been continued by Jedediah S. Smith, David E. Jackson and W. L. Sublette, under the firm name of Smith, Sublette and Jackson. "They commenced business in 1826, and have since continued it; and have made observations and gained information which they think it important to communicate to the Government. The number of men they have employed has usually been from 80 to 100, and with these divided into parties they have traversed every part of the country west of the Rocky Mountains, from the peninsula of California to the mouth of the Columbia River. Pack horses or rather mules were at first used; but in the beginning of the present year it was determined to try wagons; and in the month of April last, on the tenth day of the month, a caravan of ten wagons drawn by five mules each, and two dearborns drawn by one mule each, set out from St. Louis. There were eighty-one men in the party, all mounted on mules. 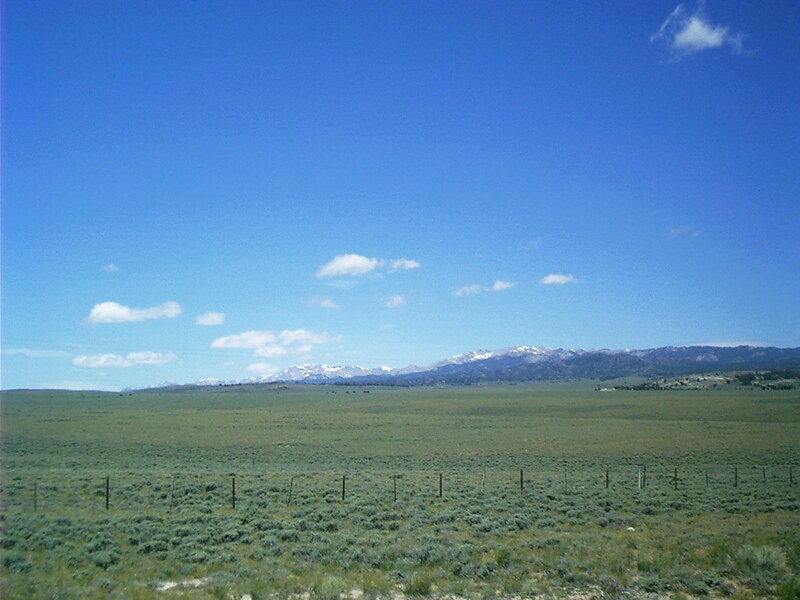 Our route was nearly due west to the western limits of the State of Missouri, and thence along the Santa Fe trail about forty miles, from which the course was some degrees north of west, across the waters of the Kansas, and up the great Platte River to the Rocky Mountains, and to the head of Wind River, where it issues from the mountains. This took us until the 1th of July, and was as far as we wished to go with the wagons, as the furs to be brought in were to be collected at this place, which is, or was this year, the great rendezvous of the persons engaged in that business. "Here the wagons could easily have crossed the mountains, it being what is called the Southern Pass, had it been desirable for them to do so, which it was not for the reasons stated. For our support, at leaving the Missouri settlements, until we should get into the buffalo country, we drove twelve head of cattle, besides a milch cow. "Eight of these only being required for use before we got to the buffaloes, the others went on to the head of Wind River. We began to fall in with buffaloes on the Platte, about 350 miles from the white settlements, and from that time lived on buffaloes, the quantity being infinitely beyond what we needed. On the 4th of August, the wagons being in the mean time loaded with the furs which had been previously taken, we set out on our return to St. Louis. "All the high points of the mountains then in view were white with snow; but the passes and valleys, and all the level country were green with grass. Our route back was over the same ground nearly as in going out, and we arrived in St. Louis on the 10th of October, bringing back the ten wagons, four of the oxen, and the milch cow, as we did not need them for provisions. Our men were all healthy during the whole time; we suffered nothing from Indians and had no accident but the death of one man, being buried under a bank of earth that fell in upon him, and another crippled at the same time. Of the mules we lost but one by fatigue, and two horses stolen by the Kansas Indians, the grass being along the whole route, going and coming, sufficient for the support of the horses and mules. The usual weight in the wagons was about 1,800 pounds. "The usual progress of the wagons was from fifteen to twenty[-five] miles per day. "The country being almost all open, level and prairie, the chief obstructions were ravines and creeks, the banks of which required cutting down, and for this purpose a few pioneers were generally kept in advance of the caravan. This is the first time that wagons ever went to the Rocky Mountains, and the ease and safety with which it was done prove the facility of communicating overland with the Pacific Ocean. The route from the Southern Pass, where the wagons stopped, to the Great Falls of the Columbia, being easier and better than on this side of the mountains, with grass enough for the horses and mules; but a scarcity of game for the support of the men." • Marshall, William I. Acquisition of Oregon and the Long Suppressed Evidence about Marcus Whitman. Vol. 1. Seattle: Lowman and Hanford, 1911. 73-75. 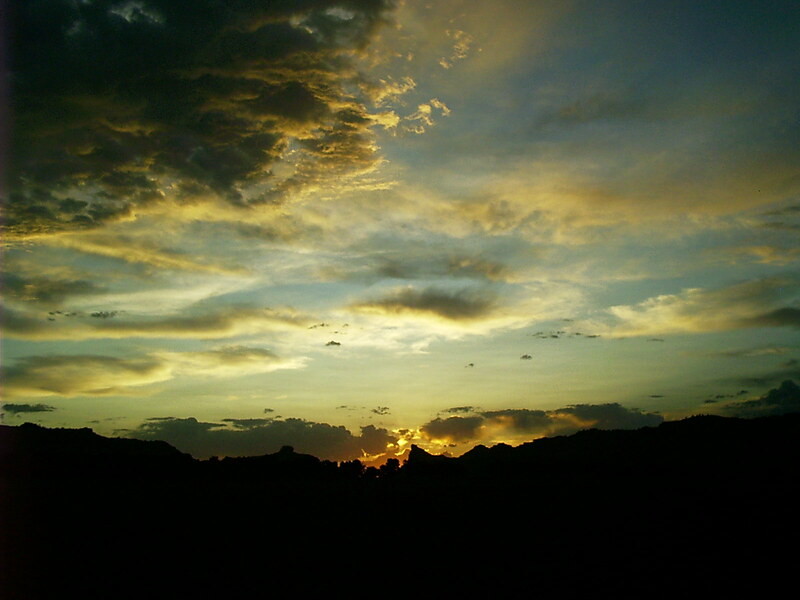 27 July 2007 <http://homepage.mac.com/fotl/marshall/marshall_25-140.html>. Of course, there was one market for furs in the mountains, another in St. Louis, MO, and yet another in London, England. Liquor and other goods bartered at the rendezvous commanded the highest rate of exchange relative to pelts. Few trappers got very far ahead, dealing with the "company store." The handful that became famous were good at keeping accounts and better at bargaining and rose to management rank in their respective outfits. The fur trade had the effect, intentional or inadvertent, of making the Indian nations gradually more dependent on manufactured goods. This led to all sorts of political intrigue among the tribes and between them and the United States. 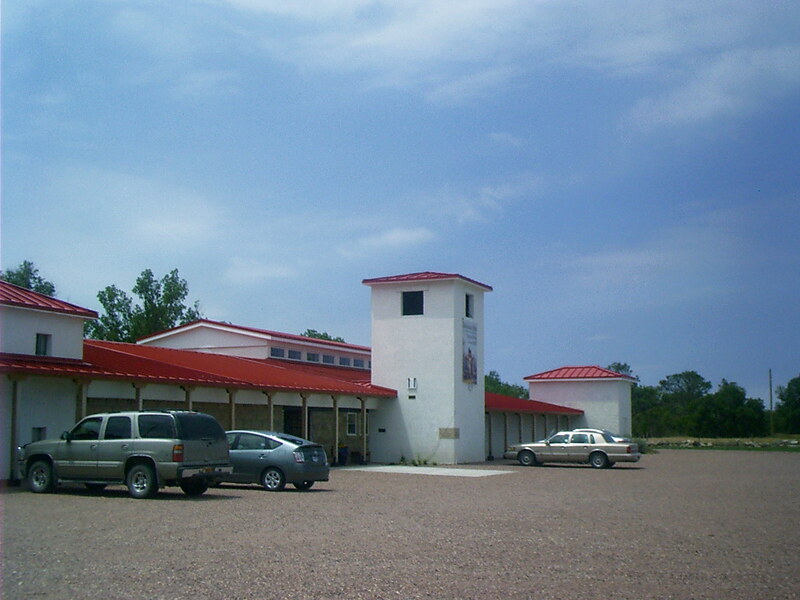 The Museum of the Fur Trade opened to the public in Chadron, NE, in 1955. 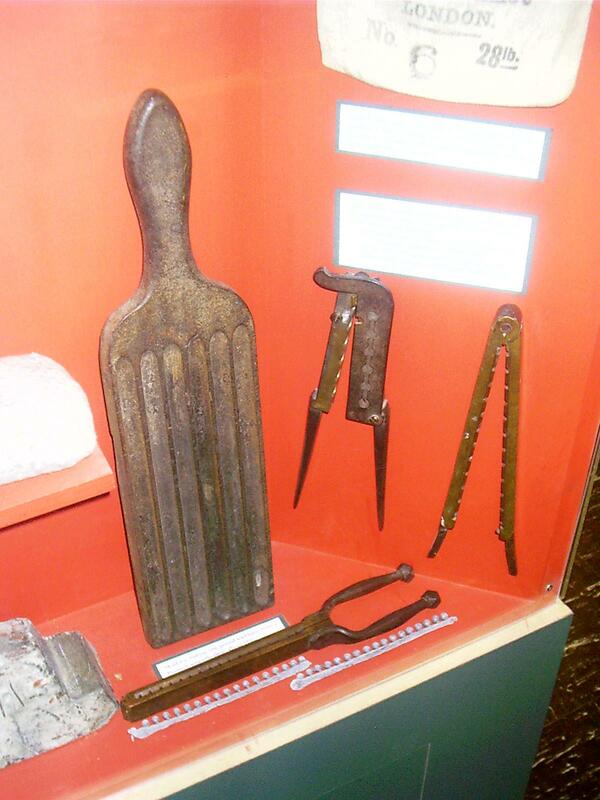 It may be out of the way, but its exhibits are world class, including artifacts from as long ago as the 17th century as well as products still in commerce up to the present day. Displays include articles collected from every continent. 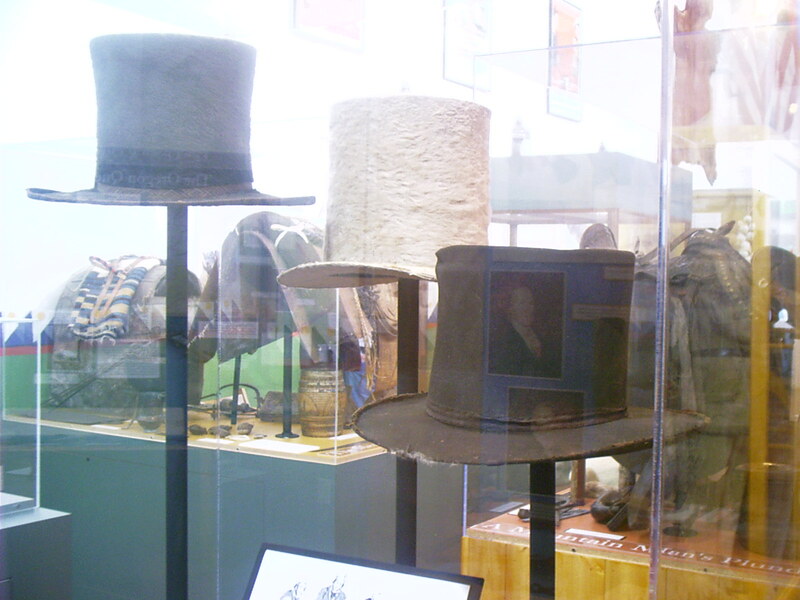 The museum is a respected resource for prop and costume design for the movie industry. In their lists of references, reenactors give the Museum of the Fur Trade more than alphabetic precedence over the National Park Service's Museum of Westward Expansion in St. Louis, MO. "The trade goods collection consists not of the things that Indians made, but of the things Indians used to make things. Native people purchased the prosaic and the exotic, the utilitarian and the superfluous. Traders provided the weapons to hunt and make war, the paint used to decorate the face, and everything in-between. And all these are represented in the Museum of the Fur Trade. "A special part of the museum's collection is firearms made exclusively for sale to Indians. It includes the earliest known intact trade gun, made in the Netherlands before 1650. The personal firearms of such famous Americans as John Kinzie, Kit Carson, Tecumseh, and Young Man Afraid of His Horses are on public exhibition. Over 200 Northwest guns manufactured between 1751 and 1900 in England, Belgium, and the United States are on exhibit. It is the largest and most comprehensive collection of these firearms in existence." In the 18th and early 19th century the mercantile economies of Europe and America became determined to extract as much raw material from their frontiers as they could as quickly as possible. Dried beaver pelts were a commodity in demand. For these, government-chartered traders and renegades exchanged an array of cheaply manufactured items as the following slides will show. What became of the furs? They were shipped to Europe to be made into felt hats. In the Green River basin, the fur trade flickered to life in the early 1820s, blazed for 15 years, and abruptly burned out. Some say the fur trade grew too dangerous and its practitioners too old to cope with its rigors. More likely they became too smart to put up with the fur companies' exploitation. Some say the Indians were less inclined to cooperate with the fur trade or even tolerate it as intertribal competition flared. Some say the Indian population was decimated by exotic diseases spread by contact with the fur trade, and this is true: There were epidemics that negatively impacted the manpower available to the fur trade. However, exactly when these occurred and the degree of impact are indeterminate. Some say that changing styles in European haberdashery caused a decline in the market for occidental beaver proportional to an increase in demand for oriental silk. Some say that South American nutria pelts were found to be a good substitute for beaver and that, because these were cheaper, they took over the market. Some say the prime beaver habitat was destroyed by homesteading, and this is true: It was — in the Midwest, but not in the West. The real reason was this: Unrestrained competition for pelts had in 15 years driven the beaver to the brink of extinction along the Green River just as it had two centuries before in Europe. The Mountain Man's way of life in the Green River basin came to an end when the beaver were trapped out, but one must not leap to the conclusion that that was the end of the fur trade in North America. Bison robes were traded on the Great Plains up to the beginning of the Civil War, and a market for buffalo hides continued afterward until the freely ranging bison herds were wiped out. Though the European demand for beaver was diminished, it was not extinguished. Canada continued to export beaver pelts. • Eddins, Orland Ned. 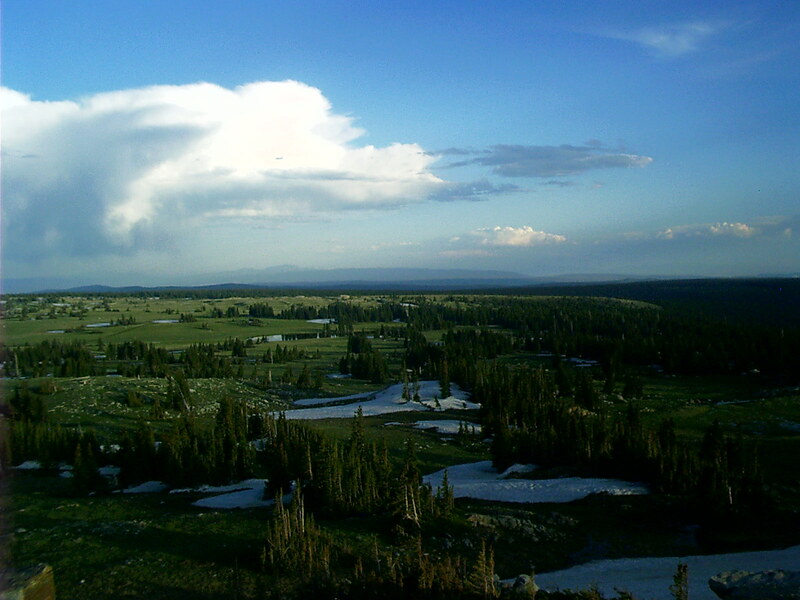 "Mountain Man Rendezvous Sites." Mountain Men Plains Indian Fur Trade History. 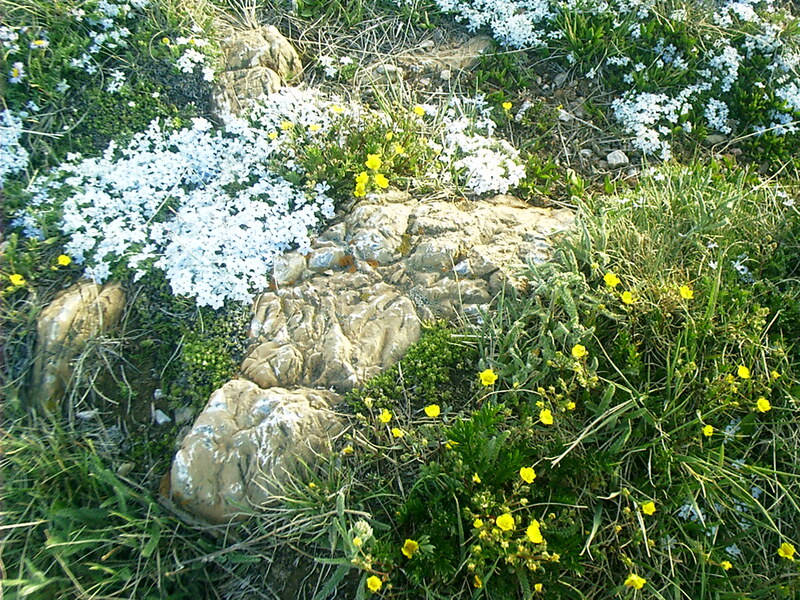 3 July 2007 <http://www.mountainsofstone.com/rendezvous_sites.htm>. There is still a market for beaver. In fact, you can buy, today, a good contemporary cowboy-style felt hat that, the manufacturer will promise, contains (an undisclosed proportion of) beaver fur. 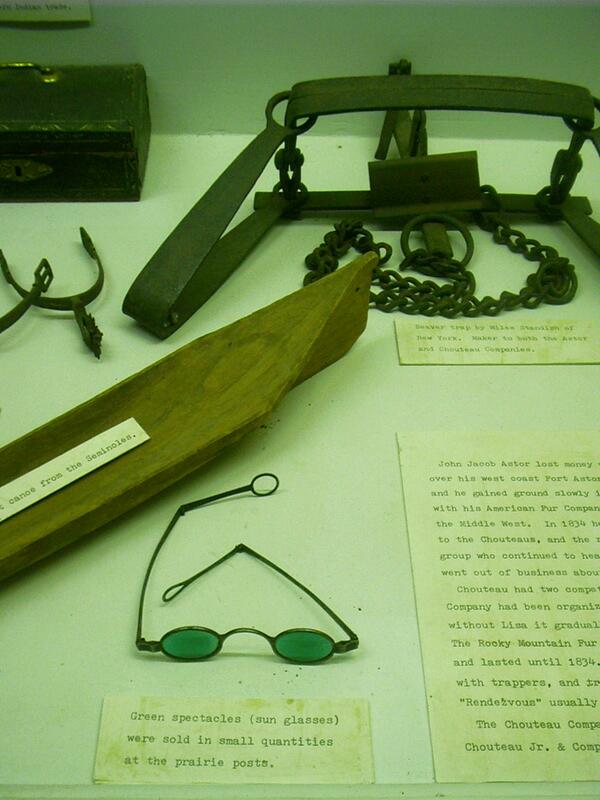 For awhile, though, the future of the fur trade was so bright the trappers had to wear shades. 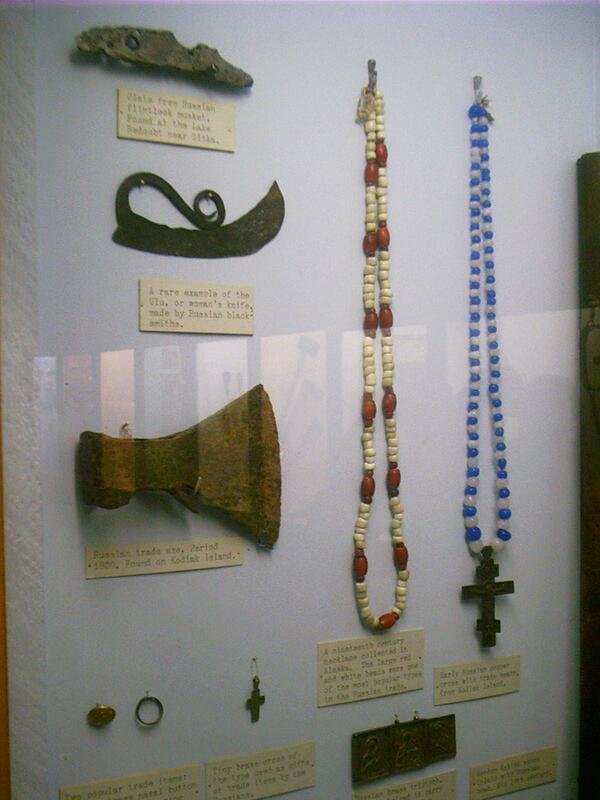 Some items manufactured for trade duplicated those produced by indigenous craft. Wampum could be machined more cheaply than it could be made by hand. "Wampum is a term for cylindrical beads cut from the quahog clamshell. The Indians around Long Island made them in prehistoric times, and Dutch fur traders adopted their use as a medium of exchange among the tribes of eastern North America." 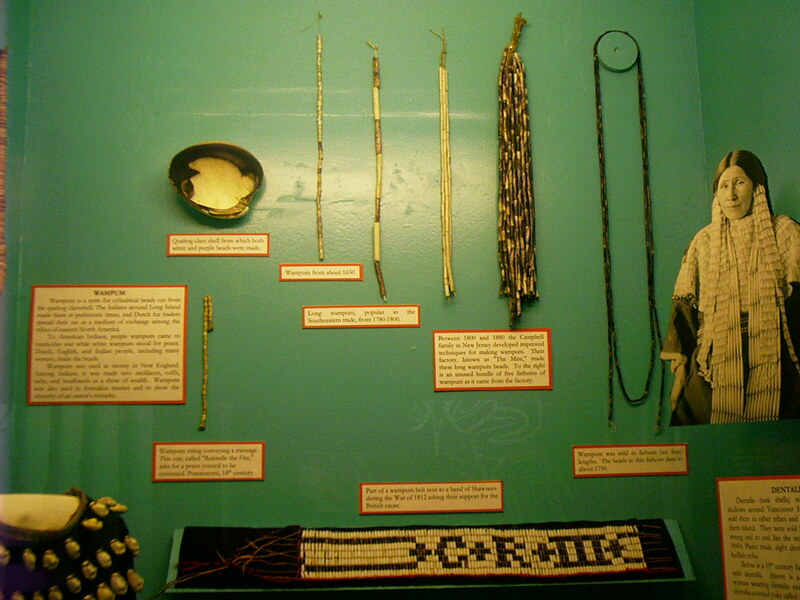 Beads as articles of adornment are known in all cultures, so it won't do to think of them as circumpolar and spreading from Northern Europe. 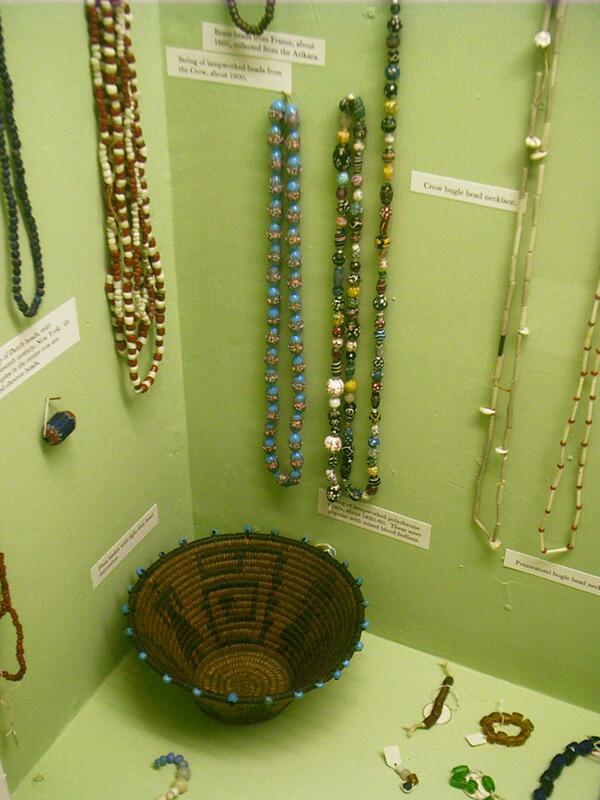 It is true, however, that most trade beads were manufactured in Eastern Europe (as they are today). The technology is a holdover from the Viking era. Intensive tobacco culture in the States developed out of practices barely distinguishable from indigenous methods. 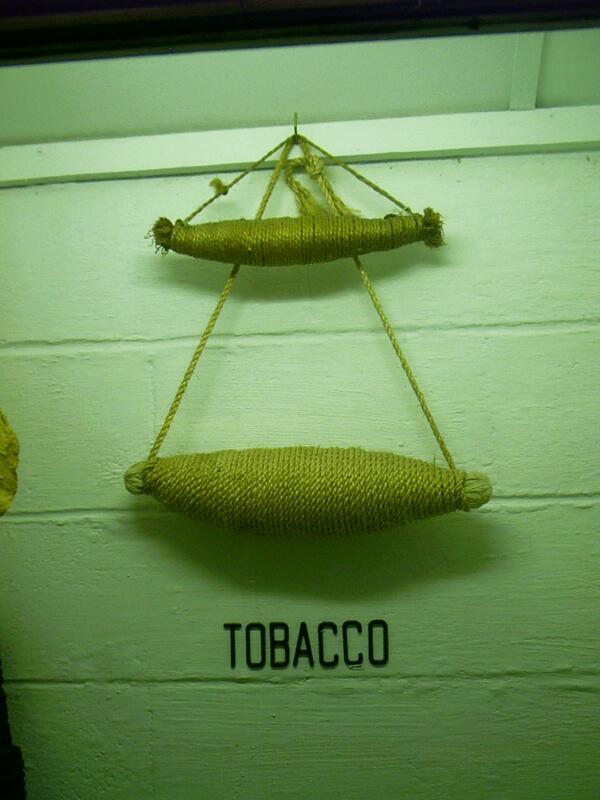 Plains Indians, of course, were net importers of tobacco. "Nearly all Indian tribes grew some variety of tobacco. However, none of them seem to have been as desirable as the South American tobacco which was being cultivated in Colonial Maryland and Virginia soon after white settlement. 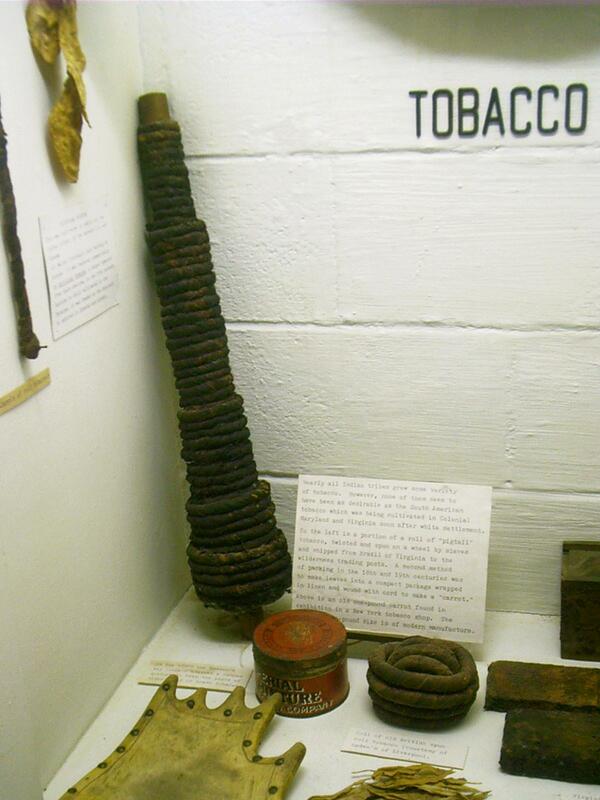 "To the left is a portion of a roll of 'pigtail' tobacco, twisted and spun on a wheel by slaves and shipped from Brazil or Virginia to the wilderness trading posts. 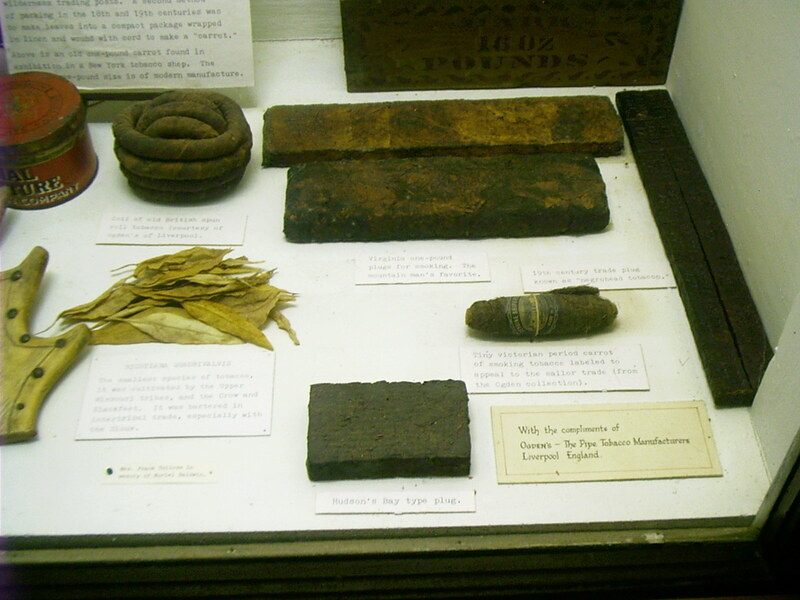 "Above is an old one-pound carrot found in exhibition in a New York tobacco shop. The [… three] pound size is of modern manufacture." 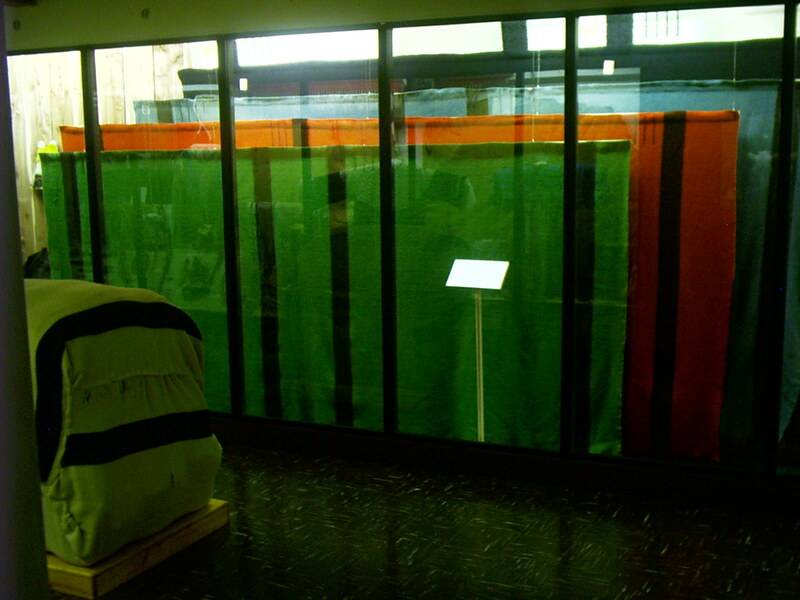 "Legend has it that British tax collectors levied export duty on each blanket, so blanket makers finished them in pairs. They were always supplied in pairs in the fur trade and then cut in two for the customer." The mountain men bequeathed their names to landmarks throughout the West. Nothing whatever is known about Jacques LaRamée who disappeared in the northern reaches of the front range of the Rockies about 1820. Since then, however, that part of the mountains and the river that flows through it have been called after him. 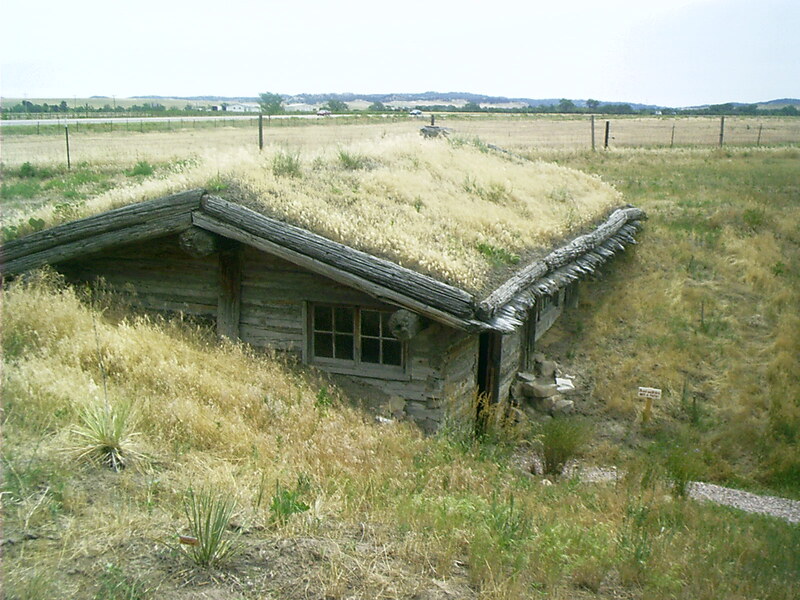 In 1828, a clerk for the American Fur Company named Hiram Scott fell ill. His colleagues abandoned him to his death on the banks of the North Platte. The next year agents of the company discovered enough of his remains to identify the corpse and necessitate a funeral. The prominent bluffs 60 miles downstream from the mouth of the Laramie River have been called Scotts Bluff ever since, and travelers have thrilled to every retelling of his story. "The Hiram Scott legend is mentioned by almost all early travelers who have left record of a journey up the North Platte Valley, but it would be fruitless to recite the many other varied, conflicting, and often quaint versions of how he died. There are differences of opinion as to the distance the poor fellow crawled, if any; whether the party traveled on foot or by horseback, muleback, bullboat, raft, or canoe; whether he was a victim of Indians, exposure, drowning, freezing, disease, or starvation; the location of his skeleton; the identity and number of his companions; whether their desertion was premeditated; whether it was justified; how their treachery was exposed; and, finally, whether the whole thing might not have been a grisly hoax! "It was not a hoax. Though the legend has become hopelessly confused, research has proved that there was a Hiram Scott prominent in the Rocky Mountain fur trade from 1823 until 1827; and that he disappeared in 1828 and was never heard from thereafter, except through the faint echoes of the legend. His companions remain unidentified, but research strongly suggests that William Sublette was the leader of the 1828 caravan, who issued instructions to these men to remain with him; and it was William Sublette who led the springtime caravan of 1829 that discovered Scott's skeleton, miles away from the spot where they reported he had died." 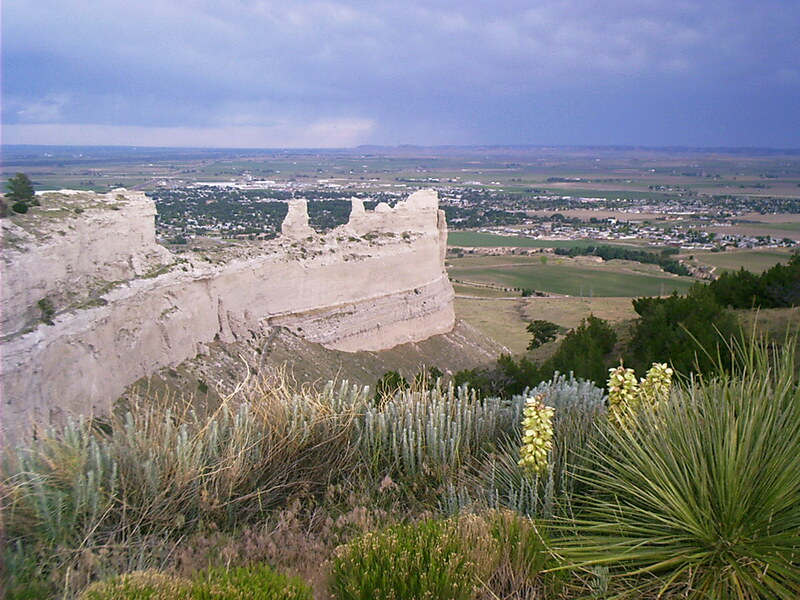 • Mattes, Merrill J. Scotts Bluff National Monument Nebraska. 1958. Historical Handbook 28. Washington, DC: National Park Service, 9 Dec. 2000. 27 July 2007 <http://www.nps.gov/history/history/online_books/hh/28/index.htm>. Rhode, Chuck. "The Fur Trade." The Flat Route. 21 Jul. 2007. Lacus Veris. 24 Apr. 2019 <http://lacusveris.com/Moab/Snaps/FurTrade.shtml>. Last modified 4 Oct. 2015. Served 9336 times between 16 May. 2010 and 24 Apr. 2019. Contact mailto:CRhode@LacusVeris.com?subject=The+Flat+Route.